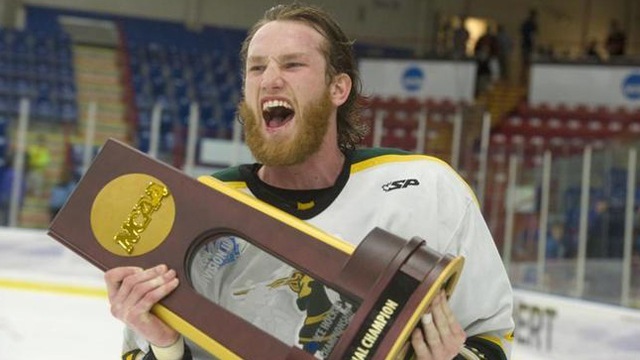 Union and St. Norbert were the two teams to win national championships in men's hockey. Union was able to win the title in its first appearance in the national championship game, while St. Norbert took home the national championship for the third time in the last four years. Take a look back at both with videos, features and photos as NCAA.com continues its look back at the 2013-14 season. Union won its first NCAA hockey title in 2014, scoring three times in a 1:54 span in the first period in a 7-4 victory against Minnesota in the national championship game.